Comments: Although it is a perennial it is most widely used as an annual bedding plant. 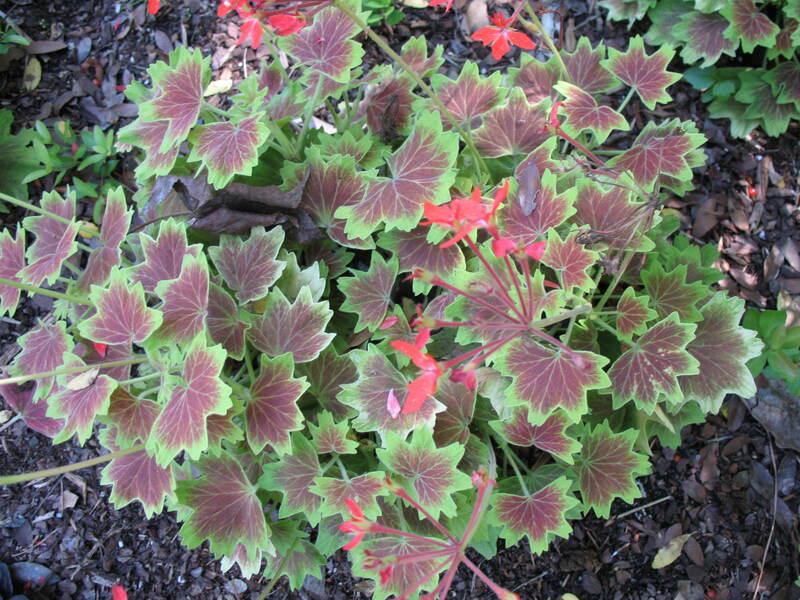 A geranium that has leaves shaped like those of ivy. It is used in beds, borders, pots, containers,m hanging baskets, and as an indoor house plant. Hummingbirds are attracted to the red flowers which are borne on drought tolerant plants.